What is your typical breakfast? For me it’s almost always something like so. 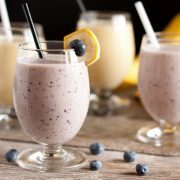 I’ve been posting a lot of smoothie recipes lately. It’s because they are what I have for breakfast every single morning. 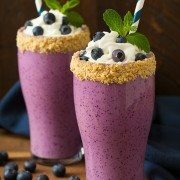 My favorite has always been the blueberry oat smoothie, and I never thought I’d find a breakfast smoothie I liked as much until I made this one. Who knew a healthy and quick breakfast could be so incredibly good? I’ve made these twice in the last two days, and I just wanted to point at the first one was sweeter than the second (even though I used the same batch of strawberries), I think the key is in the bananas. Be sure you use well ripened spotty bananas and if it’s still not sweet enough for you, you can either add in a little honey or agave or the other quarter to half of the banana. 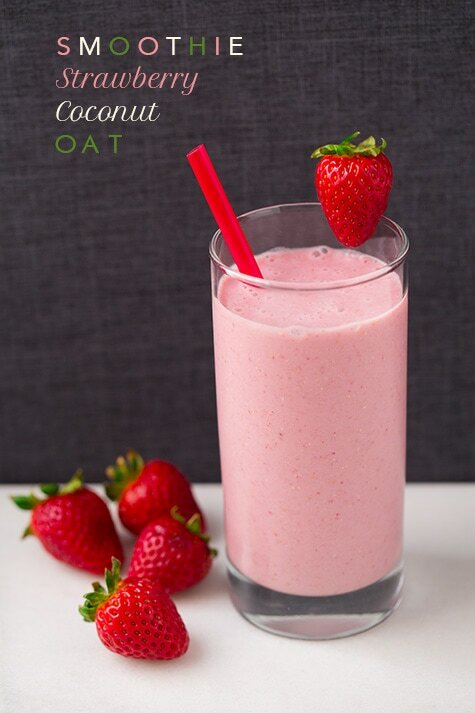 A smoothie just needs the right amount of sweetness to be delicious, right? This is one of the best breakfast smoothies I’ve ever had. I love the strawberry-coconut combination. It just works. They both have very pronounced flavors but the tartness of the strawberries and the enticing flavor of sweet coconut pair amazingly well together. The oats blend in very well (you won’t really even notice they are there, just be sure to use quick oats) and they help make this filling enough to be your main breakfast. I have the feeling you’re going to be hooked on this smoothie just like I am. Healthy indulgence, oh yes please! Enjoy! 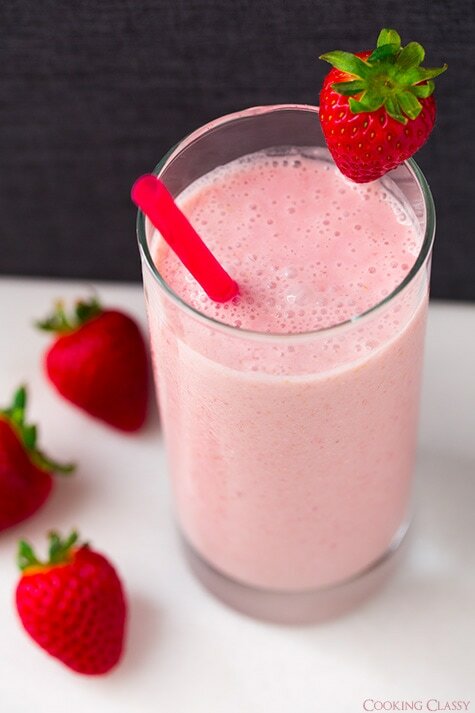 This creamy smoothie has the perfect flavor combo with strawberry and coconut. Great start to your morning! Combine all ingredients in a blender and process until well pureed. Add a few tablespoons more of the almond milk coconut milk blend or water to thin as desired**. If you'd like it any sweeter you can add in a little bit of honey or agave to taste or add in another 1/4 - 1/2 of the banana. *I used the 60 calorie per serving kind that is slightly sweetened. If you can't find the blend of both milks you can use all coconut milk (not the canned kind) or buy coconut milk and almond milk and use half of each). **Additional almond/coconut milk, honey/agave, or banana not included in calorie count. 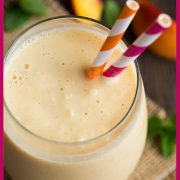 Kathryn Frisina: I love Smoothies, I love the color Pink ~ this smoothie looks twice as yummy. You gave the cal count as 280 but didn’t give the sugar and fat content. They are both important to me.